Colorado Young Professionals is excited to be apart of this! Who? Genesee Academy is proud to present Global Data Summit (GDS). What? GDS is focused on all things data – data innovations, the future of data, and emerging data topics in data analytics, data modeling, and data warehousing. When? GDS is happening 8 AM – 5 PM October 2nd and 3rd at The Pines in Golden, Colorado. Who’s attending? 200+ business and technology leaders from Fortune 500 companies, international businesses, and small consulting firms. Who’s speaking? Speakers include Teradata CTO Stephen Brobst, Intelligent Business Strategies manager Mike Ferguson, and data warehousing and analytics veteran Rick van der Lans. The Global Data Summit is focused on All Things Data. To be a bit more specific, data innovations, the future of data, and emerging data topics. This latter clarification is important because we are specifically not covering the common, traditional, status quo. Our topics can be categorized as future facing, aspirational, leading edge, and ground breaking. So related to our data modeling topics we are purposefully not covering relational or dimensional modeling (there are plenty of venues for that already) but instead ensemble modeling, data vault modeling, and big data modeling. For our data warehouse topics we are less concerned with traditional approaches and architectures and more focused on cloud, big data, virtual data warehouse and streaming deployments. 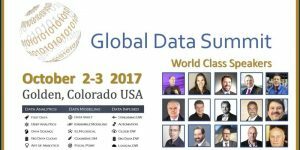 The Global Data Summit will be held October 2nd and 3rd in Genesee, Colorado. Interested in Blockchain technologies as well, such as Hyperledger, Ethereum, Bitcoin, and Smart Contracts? 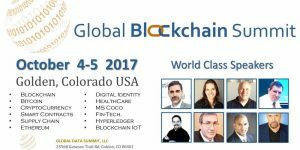 Join Colorado Young Professionals at the Global Blockchain Summit, occurring October 4th and 5th. Learn about the latest Blockchain technologies and innovations from world class experts, including the CTO of Open Source From IBM and many others! Topics that will be covered include Blockchain, Bitcoin, Cryptocurrency, Smart Contracts, Ethereum, Supply Chain, Digital Identity, Microsoft Coco, Fin-Tech, Hyperledger, and Blockchain IoT. We will have world renown experts from companies like IBM and VMware that will explain where the latest Blockchain technologies are headed. The Global Blockchain Summit will be held October 4th and 5th in Genesee, Colorado. Click here to get your pass now! Visit our Other Chapters when you're in the area. ©2015 Denver Young Professionals. All Rights Reserved.